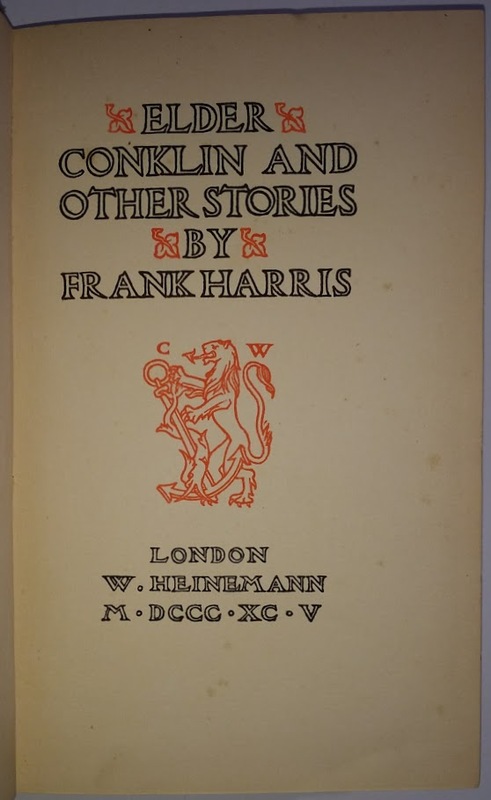 This was Harris' first book, generally well received by the critics of his day. It demonstrates his gift for story-telling, particularly in the title story: set in the Kansas that Harris had known some twenty years before, it tells of an old man, his daughter and their lodger. Each is wonderfully cussed in their own way, leading to a predictably unfortunate climax. Another treat here is A Modern Idyll, a beautifully cynical love story in which the protagonists are a preacher and a married member of his congregation. Unsurprisingly, this was considered by some at the time to be indecent. 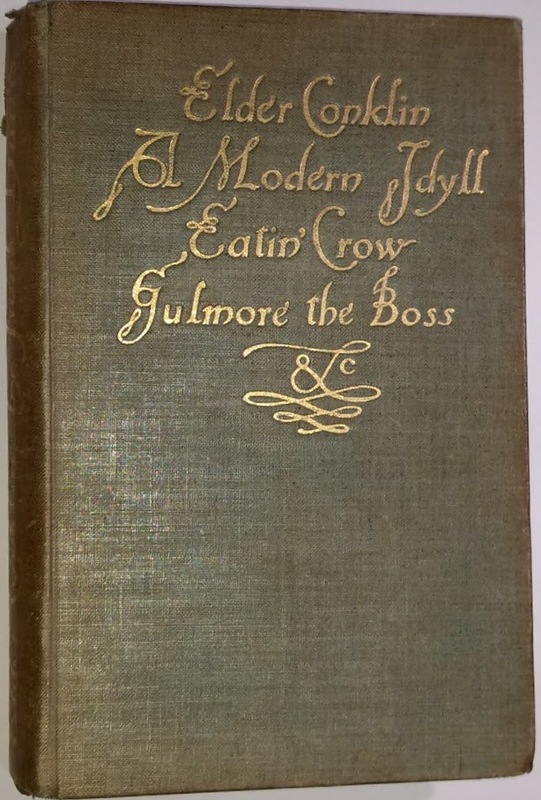 None of the other stories here are quite so worthy of note: Eatin' Crow has a nice twist, but is slight; in Gulmore the Boss the central character is obviously based on his one-time hero Byron Smith, but the story itself is not well balanced, possibly coloured by Harris' feelings about Smith, which were somewhat mixed, Harris apparently unable to decide whether Smith was a hero or a weakling. For the Harris scholar, this is a volume definitely worth seeking out, though good copies are hard to come by and consequently pricy. Despite the apparent earlier date, this is not the true 1st. One edition marked on cover Elder Conklin and Other Western Stories and another described as Definitive Edition.